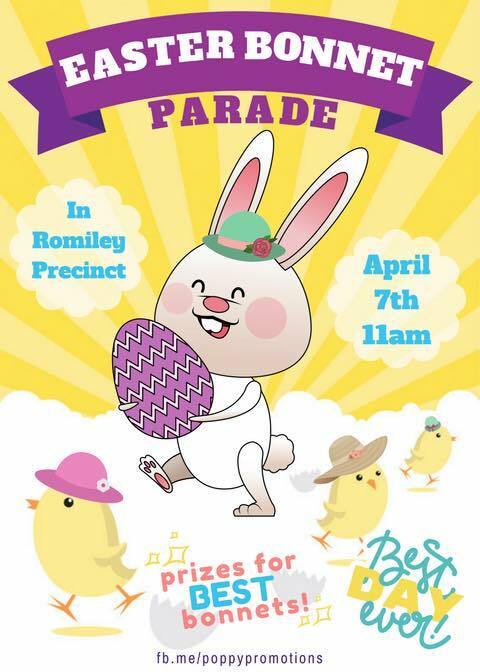 Romiley’s village market takes place tomorrow in Romiley Precinct. We will have entertainment throughout the day from Belle Vue Brass Band. The market now starts from 9.00 am and finishes at 3.00 pm, which leave plenty of time to browse the local shops or spend time in one of our lovely cafes. Our last monthly market of 2018 takes place this Saturday from 10.00 am in Romiley Precinct. There will be musical entertainment and a host of stalls selling goods ready for Christmas. The local Romiley village shops are in full festive mode and ready to handle all your Christmas shopping needs. From gift vouchers for one of our many beauty salons to clothes, toys and fancy gifts. Avoid the traffic jams and satisfy all your Christmas shopping needs right here in the village. 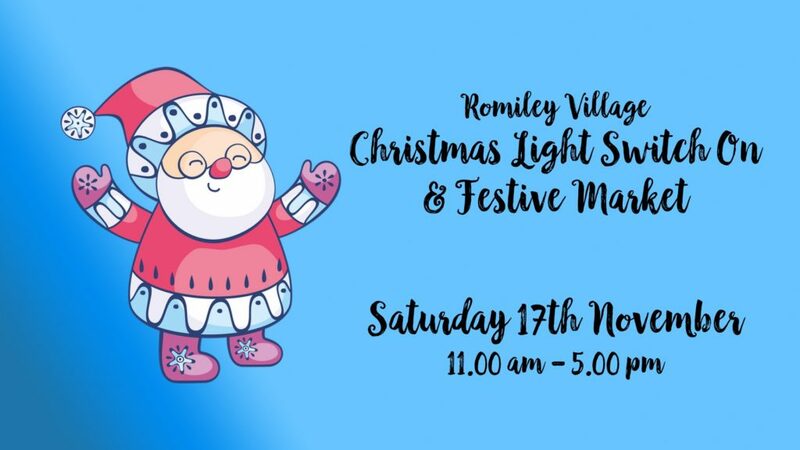 Father Christmas is coming back to Romiley Village on Saturday 17th November. The festive market starts at 11.00 am and there will be fun and entertainment all day including a visit from Father Christmas, who will be in his Grotto from 1.00 pm. This year there will be entertainment from NK Theatre Arts, Werneth School, St Christopher’s School, VariVocals Choir, Panasonic All Stars Band and many more. The day will be hosted by DJ Chris Reilly. Fun starts from 11.00 am. 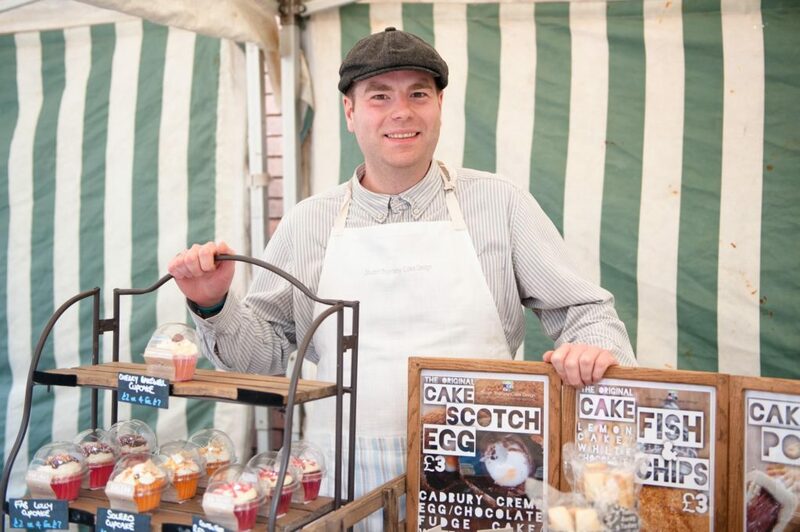 It’s Romiley village market tomorrow Saturday 5th May from 10.00 am – 4.00 pm and as usual the market will be situated in the square outside The Romiley Forum. 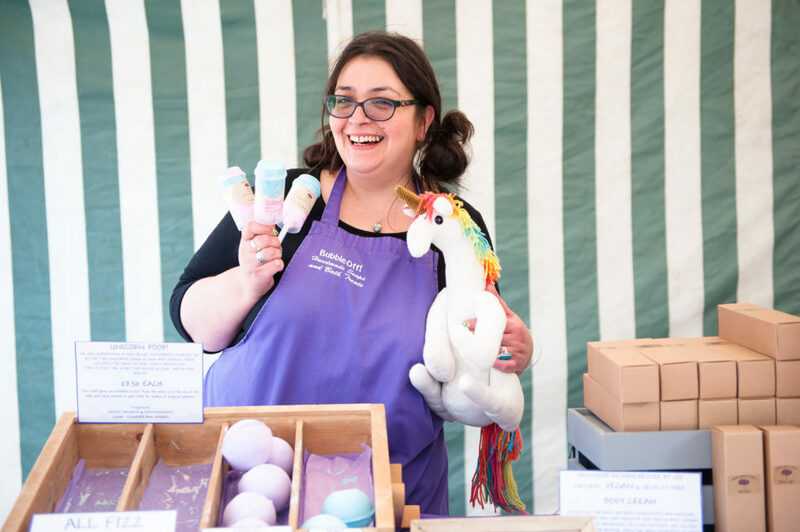 We’ll have a selection of traders selling everything from delicious treats to leather goods. 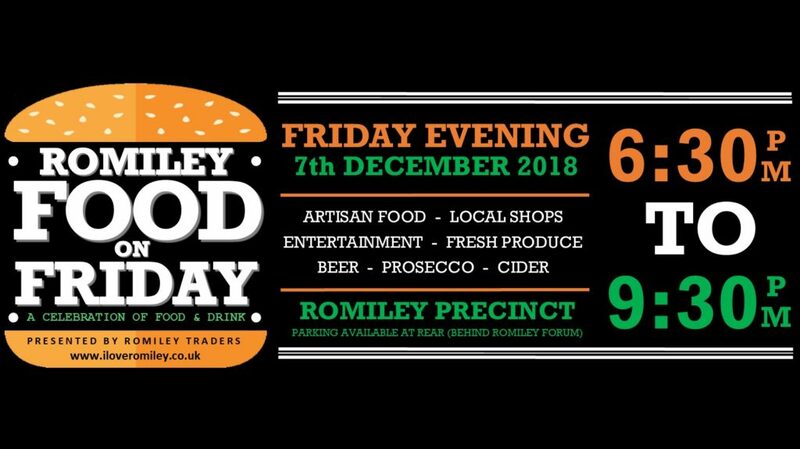 The market is, as always, surrounded by our lovely local shops, so why not skip the traffic and spend your Saturday shopping right here in Romiley Village? Not many areas can boast our amazing array of shops and cafes selling everything from fresh flowers to tropical fish. Poppy Promotions are organising a war time Tea Dance from 1.00 pm on 14th April 2018. 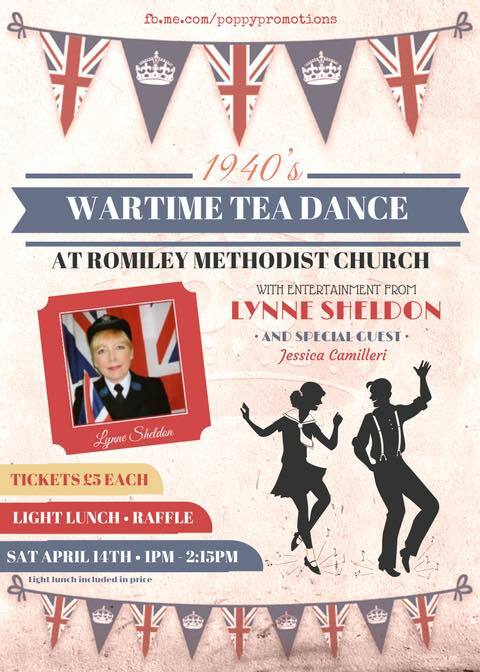 The dance takes place at Romiley Methodist Church and features the wonderful 40s singer Lynne Sheldon. There will be a light lunch and a raffle. Tickets are only £5.00 and are available from Romiley Mobility in the village. 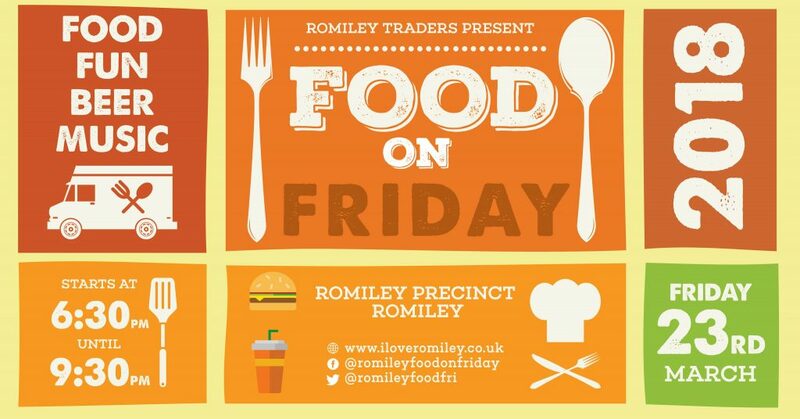 Following the success of our first event, we are holding another Romiley Food on Friday evening street food market on Friday 23rd March 2018 in Romiley Precinct. Many of our traders from the autumn event will be joining us again and we will also see some new faces. 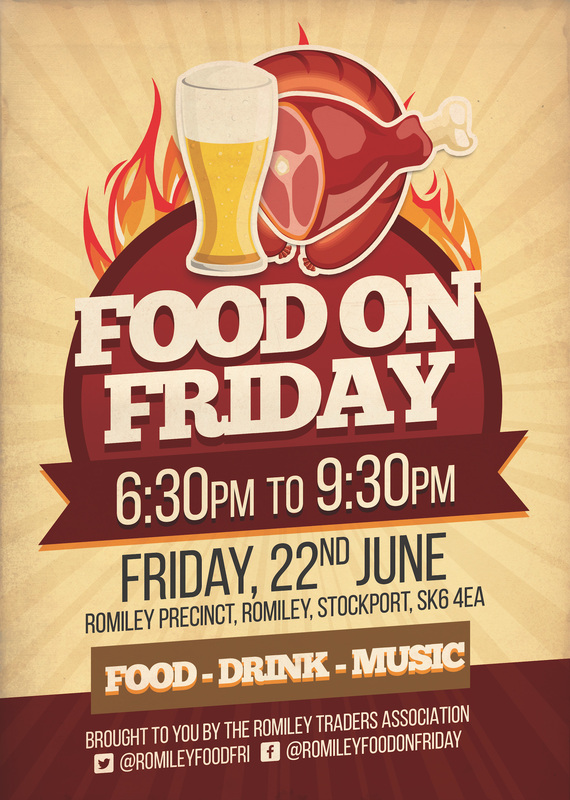 The Romiley Food on Friday Facebook page is sharing regular posts about the traders and entertainers who are joining us. 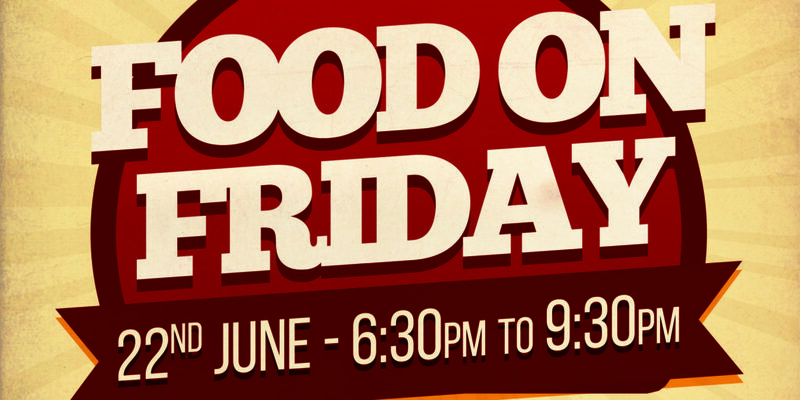 This event offers something for everyone, so join us from 6.30 pm for a brilliant evening of great food and great music right here in the heart of the village. 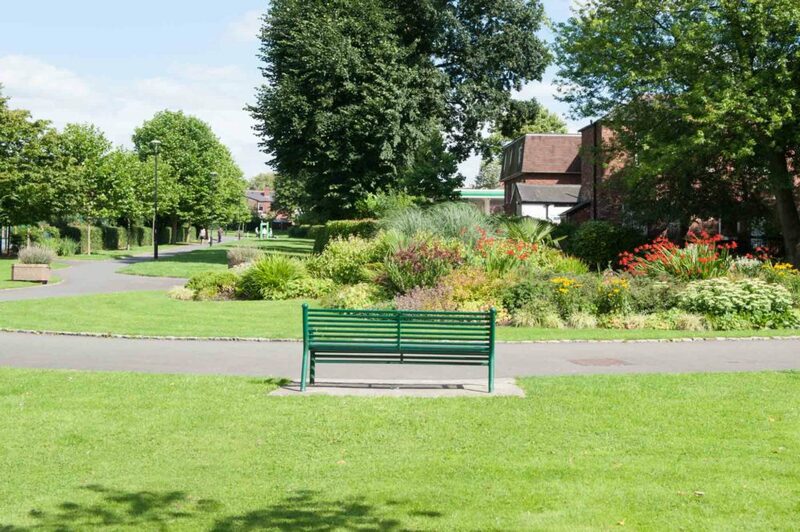 We have decided to remove the Jobs Board from the I Love Romiley website. 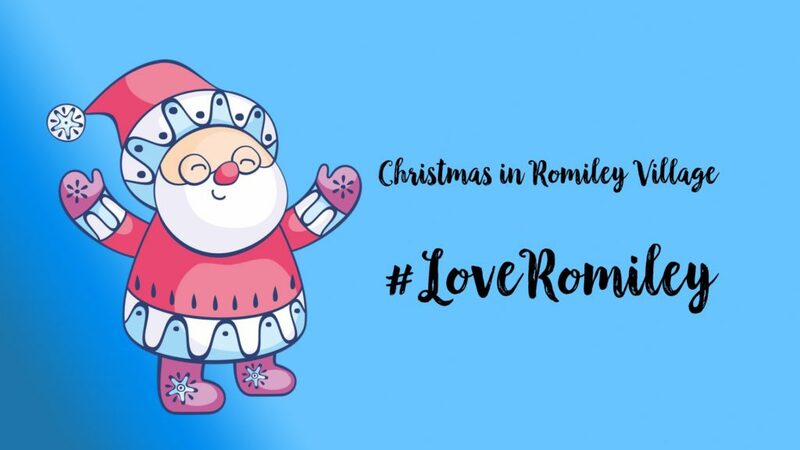 Local businesses are still able to share details of local jobs on both this website and the Love Romiley Facebook page.